Let’s start by stating the obvious – we arrive into this country soft. Typically we come from parts of the world where we simply don’t have to consider things like developed infrastructure, functioning governmental services and the many other ‘essentials’ of our ultra-developed lives. It is a very big shock to the system when we realise exactly how tough life can be when some or all of what we have taken for granted is taken away. Secondly, we tend to work in sectors where we are tasked with trying to help improve the situation – be it strengthening the health system’s response to HIV or improving the agricultural sectors ability to feed the nation. This not only concentrates our experiences on areas that are less than perfect, it encourages a culture of comment and critique. That our remarks cannot always said to be constructive is in part, I think, borne of frustration at how much needs to be improved and how little our own roles can hope to achieve in delivering that improvement. Thirdly, for the most part we tend to be the type who care (both here and back home) about whatever aspect of life is causing us frustration, consternation or simple wide-eyed amazement this week. Whatever you might think about the NGO/development crowd, you can hardly accuse them of being apathetic. The unfortunate thing about this way of thinking is that it can become a bit addictive and more than a little unhelpful. What starts as a natural letting off of steam regarding a given roadblock (perceived or real, physical or psychological) can turn into a nasty habit of cynically seeing the worst in any given situation. If you are not careful it can skew your perspective on Zambia as a whole. 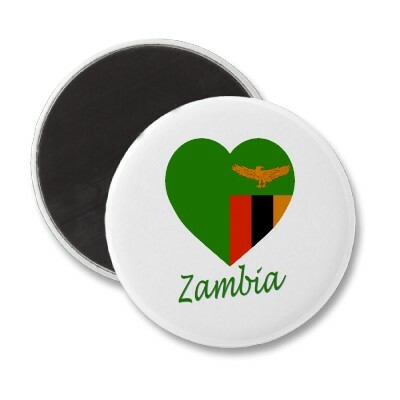 Worse, it can lead you to make unfair and unhelpful generalisations about Zambians themselves. Before you know it, you are challenging your adopted homeland to degrees of change you would rarely expect back in your native land and making sweeping statements that you would find insulting if you were to overhear visitors making about your home country. The deepest irony in all of this is that we non-Zambians rarely, if ever, have to deal with the full extent of our host nation’s shortcomings. We avoid the barely functioning education system by sending our kids to expensive international schools, we sidestep the questionable medical infrastructure by flying down to South Africa in the face of any serious clinical complaint. Our enormous relative wealth means we can buy our way out of almost any problem. A real life example has burnt itself into my conciousness. I have sat through a number of discussions about the improvements that this country needs to get itself off the very bottom of the world rankings for maternal health – heartfelt and meaningful discussions with Zambian and non-Zambian friends and colleagues alike. Yet it is my Zambian colleague who lost his sister to childbirth complications over Christmas and my non-Zambian NGO friend who flew home to give birth in a European hospital that same month. These days I try to keep that perspective on who really has the right to complain about the appalling state of some of Zambia’s living conditions. A while back I even made a commitment to Suwi to never have her reaching for the virtual pile of stickers again. As for the little annoyances of daily life, I am taking her other great piece of advice to “build a bridge… and get over it.” It’s a remarkably simple recipe for a generally happy outlook to everything life throws your way and one I hope to keep with me as I leave Zambia for my cosy, comfortable and cosseted existence.